Why is forklift safety so important? People who work on or around forklifts are at risk of being crushed or struck, either by the vehicle itself or by the load being carried. Accidents happen more often than you think. That’s why having forklift safety procedures in place matters – for better productivity, and more importantly, enhanced safety! If you’re an employer of forklift employees, or you are a forklift operator, it is in your best interest to make forklift safety a top priority through a comprehensive forklift safety program. CertifyMe.net helps companies with their forklift training needs. By law, employers are responsible to provide their workers’ forklift training. With our courses, we provide an affordable, easy alternative to expensive training seminars, off-site meetings, and other training methods. Get your forklift safety procedures locked in. Our training makes it easier – and more affordable than ever before. Don’t delay with your OSHA compliance forklift safety training. Sign up today with CertifyMe.net! How Can a Forklift Safety Program Benefit an Employer and the Workplace? Adhering to proper forklift safety protocols and practices isn’t just good for the obvious reasons (preventing accidents). It can also ensure the success of your company, or, as an employee, the future of your career. Forklift safety procedures and training reduces the number of injuries, fatalities, and costly equipment damage in the workplace. A reduction of accidents means there will be fewer or no employees or equipment out of commission, improving productivity and a company’s bottom line. Proper forklift safety also helps reduce the risk of any fines from OSHA, who crack down on workplaces that employ unsafe practices. What’s the first step towards benefiting from proper forklift safety in the workplace? Following a forklift safety program and requiring all employees to participate. What is a Good Forklift Safety Program? A good forklift safety program involves the following characteristics. And with CertifyMe.net, all of these aspects are covered with our training programs. Puts in place effective forklift safety procedures to prevent injuries and accidents. According to the National Institute for Occupational Safety and Health (NIOSH), there are two factors at the heart of these injuries and fatalities. 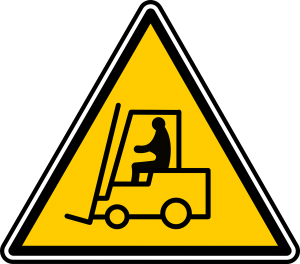 People are either unaware of the risks of working on or around forklifts or even the most basic principles of forklift safety; or they are not following Occupational Safety and Health Administration (OSHA) forklift safety procedures, consensus standards or manufacturer’s equipment guides concerning lift truck safety. Forklift accidents can be prevented through simple training and a forklift safety program. But many supervisors and jobsite managers might be hesitant to get started on their forklift safety programs, due to concerns about costs and time constraints. CertifyMe.net offers a full slate of forklift safety training courses that are affordable, super convenient and – of course – fully OSHA compliant! If your company budget doesn’t have considerable funds for training, or you don’t have forklift safety procedures for your employees, no worries! Our OSHA forklift safety training classes are priced for optimum value. Plus, we offer free 3-year renewals, along with any time, 24/7 access! Who knew forklift safety programs could be this easy – or enjoyable? What is the OSHA Forklift Inspection Checklist? 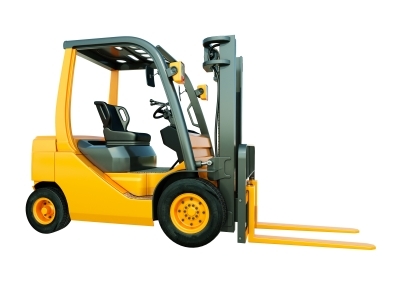 As part of the forklift safety training that OSHA requires employers to provide for its powered industrial truck operators, forklift operators are instructed to carry out daily vehicle inspection and maintenance checks. There are two OSHA forklift inspection checklists–one for electric motor-powered forklifts and one for internal combustion engine industrial trucks. Checks that the following are functioning smoothly: Parking brake, service brake, seat belt, radiator coolant, tilt control, drive control, seat belt, steering, horn and lights, etc. CertifyMe.net gives your employees the training necessary and forklift safety procedures to operate and maintain forklifts safely. If your company is involved with a forklift accident, audits or investigations are likely. Without a forklift safety program in place, expensive fines and penalties can cripple your business. Don’t delay your forklift safety training any longer. Get the peace of mind you deserve without spending an arm and a leg. Check out our courses and pricing to get started today! CertifyMe.net is the top industry-leading program in forklift safety training and certification. We can help you establish your complete forklift safety program, whatever your budget. We’ve designed our program to be as efficient and convenient as possible. With a single payment of $299 for the comprehensive forklift training kit, all of your employees will have access to the OSHA-compliant information for life. Our forklift safety programs take only about one hour for employees to complete, from any device with an internet connection. Once your employees are finished with their CertifyMe.net forklift safety training classes, you can immediately print certifications. No waiting for documentation to arrive through the mail – just print and your forklift operators are good to go! Our mission at CertifyMe.net is to make forklift safety accessible, easier than expected and also affordable! Check out our pricing options and get started today. You can ensure a safer workplace with CertifyMe.net’s online forklift safety program, be compliant with all OSHA regulations, and enjoy all of the benefits we mentioned that come with proper forklift safety. Sign up today! You can also call our forklift safety training experts at 1-888-699-4800. Thanks for visiting CertifyMe.net!